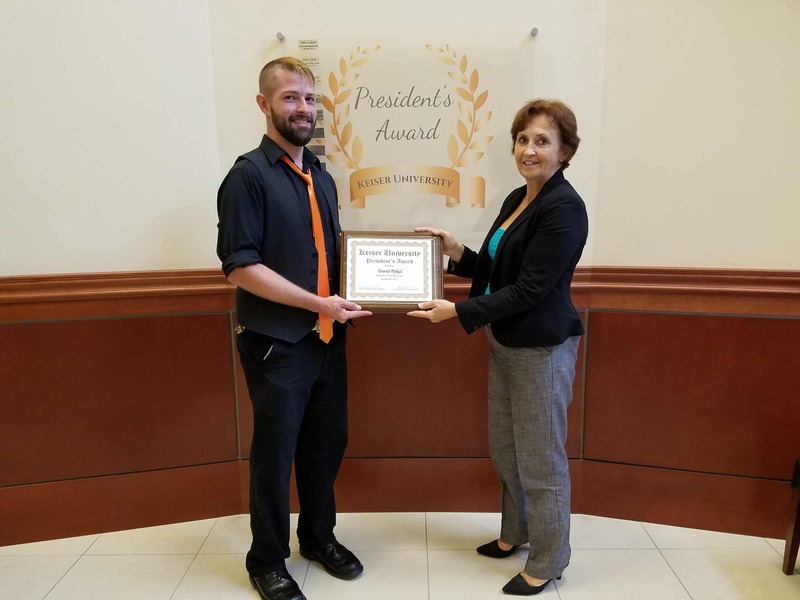 David Pykal, a Crime Scene Technology graduate and current Hospitality Management student, is the latest winner of the prestigious Keiser University President’s Award in Fort Myers. David, who is also a veteran of the United States military, earned the distinction for his consistent demonstration of initiative, both on and off campus. For example, David regularly volunteers to support and work the events that take place on campus, such as the recent Women In Business event. And over the past week, he made his home available to his peers who have been affected by Hurricane Irma while also volunteering his time and efforts to a local assisted living facility in support of their recovery. Needless to say, the award is well-deserved and could not have gone to a better representative of our school.